These days my lower limbs tend to hurt more and I guess it must be ageing coupled with my fibromyalgia pains. They creak like the limbs of an old door and I keep telling myself that I need to drop the excess kilos and give the poor limbs a break so that they will serve me for a long time. With my weight in limbo – I’ve forgotten what it means to be svelte but I know that my former svelte self is tucked away somewhere in all this blubber if only I can find her. 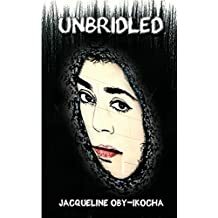 Let me toot a bit of my own horn and mention here that my new poetry book ‘ Unbridled’ is now available on Amazon. ← Stretched…Friday Fiction in Five Sentences. And I really like how you write it! She is a stubborn so-and-so!